Many home and business owners choose to use plug in fluorescent light bulbs because of their outstanding efficiency. On average, plug in CFL lamps use 25 to 30 percent of the energy required to run comparable incandescent lamps, and they also last around ten times longer. After nine months of regular use, your CFLs should start paying for themselves. CFLs are essentially smaller versions of linear fluorescent tubes that are commonly found in commercial and industrial buildings, but we also carry plenty of plug in fluorescent light bulbs that deliver warm, natural light similar to incandescent bulbs. CFLs can be used for a wide range of applications, from elevating your home decor to illuminating your entire office space or retail store. We stock all of the most common CFL plug in light bulbs, including single twin tube, double twin tube, and triple twin tube options in both 2-pin and 4-pin base configurations. You can also count on Atlanta Light Bulbs to carry more obscure shapes and sizes that are difficult to locate elsewhere. Whatever you need, we can bring your lighting vision to life. 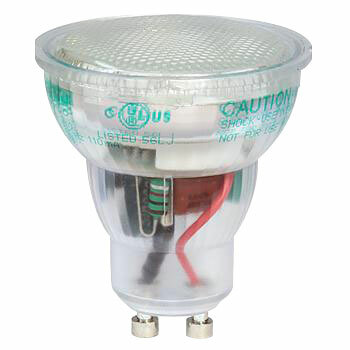 Not sure which CFLs are compatible with your fixtures? Or, do you need advice on selecting the most attractive or energy-efficient lighting option? Our in-house lighting specialists can answer those questions and more. Don’t wait to get in touch if you need information on any of our plug in fluorescent light bulbs. Call our experienced lighting experts at 1-888-988-2852 or message us online now for the best customer support in the industry.